Medibuntu was closed because of its lack of maintenance and because it was becoming a security risk for users. So, now, if a movie won't run, usually activating the Proprietary drivers for devices (restricted) and Software restricted by copyright or legal issue (multiverse) will help. Apart from libdvdcss2 , these repositories provide MPlayer, Mencoder, fonts for Adobe's Acroread PDF reader, and additional multimedia codecs that are in the non-free-codecs . Playing movies and music, ripping DVDs, and making Skype calls – that's all possible with Ubuntu. Although the Ubuntu installer already provides basic "third-party" multimedia codecs, these options might not fulfill everyone's wishes. At least, the distribution loads the legitimate MP3 codec from Fluendo onto the computer through the ubuntu-restricted-addons package, along with components for the GStreamer framework (plugins-ugly , plugins-bad , ffmpeg ) and a Flash plugin installer from Adobe. As a result, you can play MP3 files, burn audio CDs, and view more than 90 movie formats right after installation. However, the installed package is not compliant with the ubuntu-restricted-extras package that you should install after the installation. It provides additional codecs for GStreamer, some typical Microsoft fonts (that you need to sign an EULA for first) and the UnRAR unpacker. You'll also need to install the LAME library so that you can create and play MP3 files from audio CDs. Figure 1: Rhythmbox plays not only MP3s but also radio stations, and it provides integrated music shops. 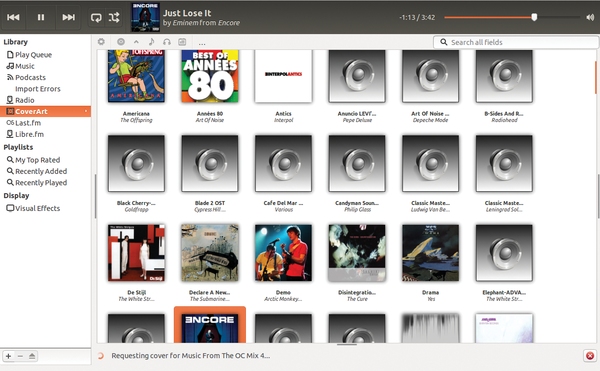 Better software exists for converting from audio CDs. Figure 2: Totem is becoming more and more minimalistic with every version. If you need more control over your media, VLC is a better option. With CDs and DVDs fall from grace, there is no preinstalled default app for burning disks. You can still find Brasero in the Software app, however. Brasero provides an integrated cover editor. Although Brasero does not do Blu-ray recording. However, K3B, also available in the Software app, does, although it will involve some system tweaking. Apart from K3B, you will have to install a special PPA that substitutes wodim , the default underlying disk-burning software, for cdrecord , a software that can handle Blu-ray disks. There are full instructions on how to do this online . Running in the background for the previously mentioned programs is GStreamer, which is a modular multimedia framework that's available to many audio and video apps. Thus, many programs don't need to support special codecs because GStreamer provides the playback capability. To play an MP3 file, Rhythmbox hands over the task to GStreamer, which rummages through its resources for a plugin that takes care of the MP3 format. Using the contained codecs, GStreamer converts the files into audible material (Figure 3). To teach Totem and Rhythmbox new data formats, often you can just install a matching GStreamer plugin. Figure 3: Rhythmbox and Totem rely on the GStreamer framework that provides the necessary plugins with new codecs. Although you can use these "limited extras" for multimedia formats, you can't watch encrypted DVDs – which covers just about all commercial DVDs. Well, you can but you have to bypass the Content Scrambling System (CSS). This requires libdvdcss2 , provided by VideoLan , but this is considered a legal gray area in many countries. Use of this software is often banned because it cancels the CSS playback protection and is therefore considered to violate the "effective copy protection mechanism." In some countries, you can resort to a commercial Linux program for legal playback: the Fluendo DVD player , whose developers also participate in GStreamer. You can find the latter in the For Purchase repository. Until about a year and a half ago, you could turn to the Medibuntu repository. It used to house – apart from MPlayer and Mencoder – another codec package that you needed to play and edit movies in all formats. Medibuntu since has been closed and all of its packages have been moved to the main repositories (except for libdvdcss mentioned above). 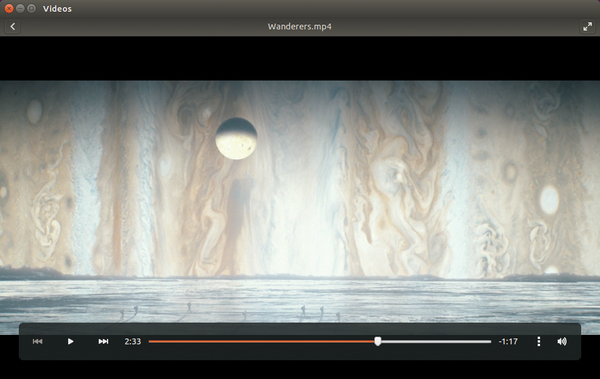 Movies, music, and Internet telephony can be used easily in Ubuntu. You just have to load the right software packages onto the computer. We present some favorite multimedia apps.